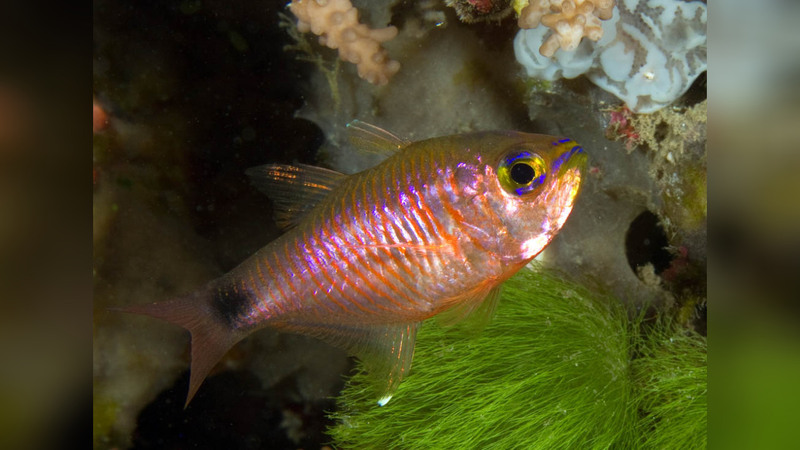 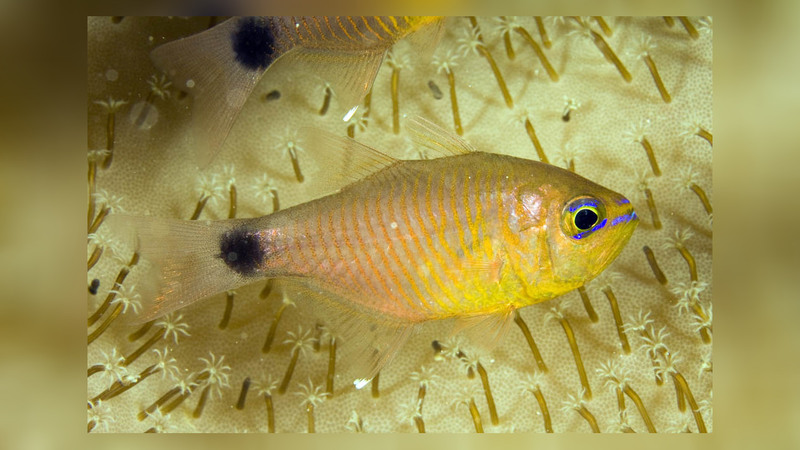 Archamia fucata, also known as the Orangelined Cardinalfish and Narrowlined Cardinalfish as well as Apogon fucata, inhabits coral and rocky reefs and is also found in mangrove roots in the whole Indo-Pacific. 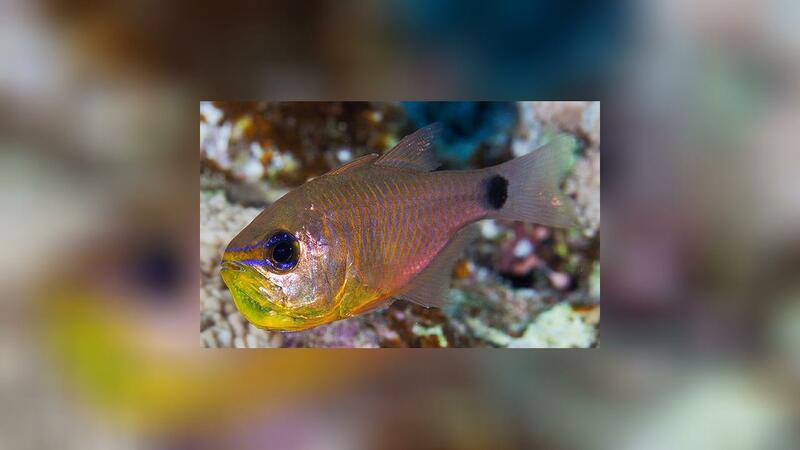 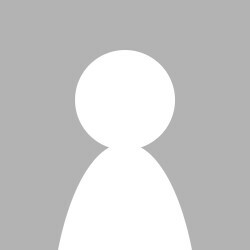 From the East African coast, north from the Red Sea to South Africa and east to Indonesia and Australia in the south. 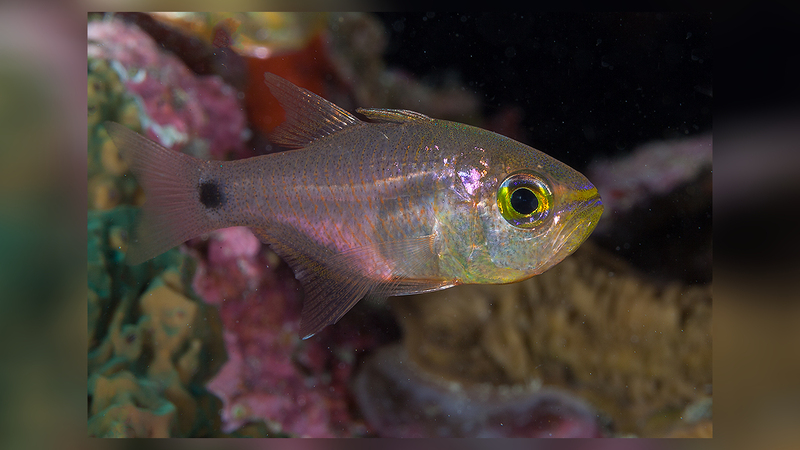 His body ist mostly translucent gray with a large black spot (near eye-sized) at caudal-fin base, with curved oblique orange lines on body; the fins are largely transparent. 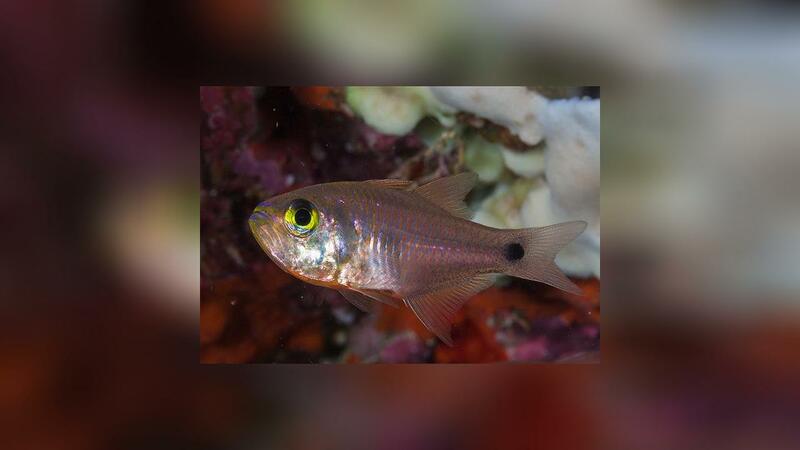 The Orangelined Cardinalfish feeds on zooplankton and other small benthic invertebrates.